Norwegian Bliss Delivered! Finally, Norwegian Cruise Line's newest cruise ship has been completed and now ready for service. Find out about the ships inaugural season and maiden cruise. It’s exciting times for Norwegian Cruise Line as their newest cruise ship Norwegian Bliss delivered and ready for her maiden voyage. During a ceremony in Bremerhaven, Germany the cruise line took control of the ship from Mayer Werft. Norwegian Bliss has been delivered after an 18-month building period at the Meyer Werft shipyard in Papenburg, Germany. To get to this point the ship reached several major construction milestones and only recently made her way along the Ems River to reach Bremerhaven which is where the ship is now. Final preparations are underway for the maiden voyage out of Southampton which we’ll detail further below. 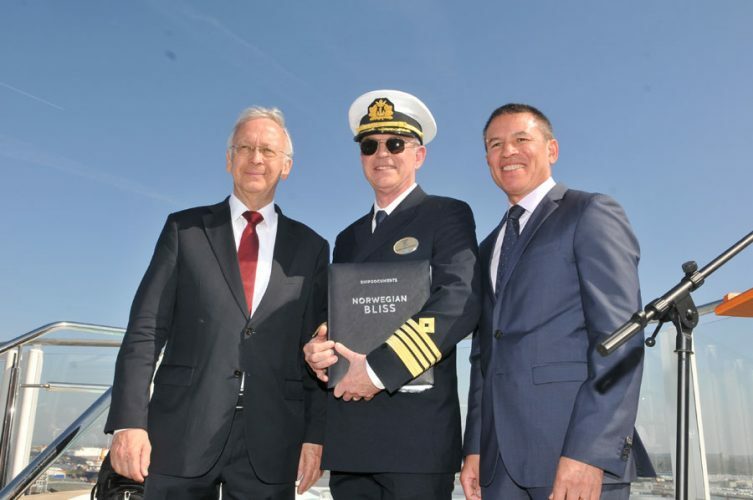 A ceremony was held and attended by NCL and shipyard executives as Norwegian Bliss now enters service and begins to showcases the cruise line’s very best features at sea. Norwegian Bliss will set off on her first official cruise from Southampton on April 21 after a one-time special 2-day preview cruise hosted by Andy Stuart and Harry Sommer. The preview cruise will be the first time Norwegian Bliss will be experienced for those lucky cruisers! The main cruise from Southampton will be a transatlantic voyage and ending in New York on May 3. While in the Big Apple the party will begin with 2-night preview events. Norwegian Bliss will continue its U.S. arrival tour in Miami and Los Angeles before finally ending at her new homeport at Pier 66 in Seattle, Washington. On May 30 Norwegian Bliss will be christened in Seattle and following that the ship will depart on a special 3-day inaugural voyage including a call in the port of Victoria, British Columbia. The Breakaway-Plus class ship will start a new season inaugural season sailing Alaska departing Seattle on June 2 on a 7-day cruise. Norwegian Bliss will also be cruising from Los Angeles in the fall to the Mexican Riviera and in the winter will be based out of Miami, Florida. Then at the end of 2019, the NCL cruise ship will sail from New York to the Caribbean and the Bahamas. 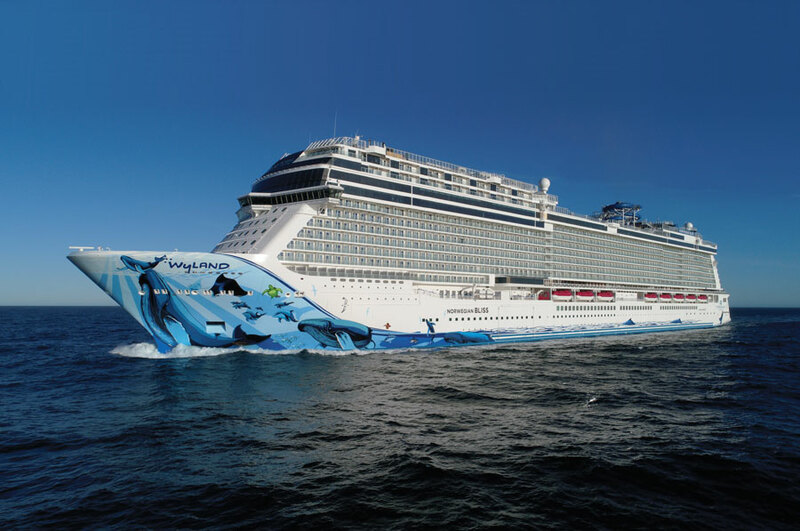 Norwegian Cruise Line’s newest cruise ship has been purpose-built for the Alaskan market and is now the third Breakaway-Plus class ship and sister to Norwegian Escape and Norwegian Joy which is based out of China. Norwegian Bliss is 168,028 gross tons and has a guest capacity of over 4,000. She is currently in the top 10 largest cruise ships in the world.